Remember the May lecture is always the second Thursday because of elections. 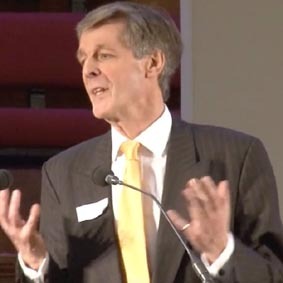 I am sorry to report that Peter Warwick, well known lecturer has died. He came to us a little while ago. You may remember his recent wonderful lecture on Capt Cook He was booked for 2020 to give a lecture on his special subject namely Lord Nelson. Aged 69 Peter had been suffering from cancer for the past four years He will be sorely missed by his many friends and contacts not least The Arts Society. 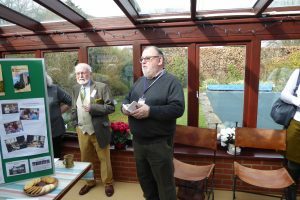 On a lovely sunny day Chairman, David Anderson welcomed new members of Blackwater to a coffee morning hosted by the President Dr Bill Allen and Jennifer Allen at their house in Wickham Bishops. 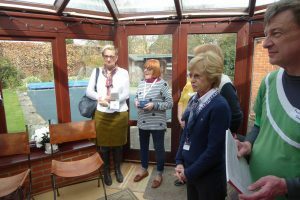 Members of the committee attended and new members were able to explore opportunities in the Volunteering Arms of the Society. David explained in his address how Blackwater was run and invited members to continue the recruitment initiative for new members. 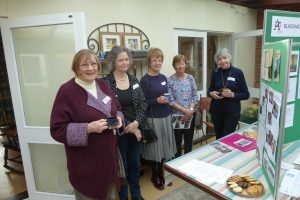 Everyone enjoyed the chance to meet and chat with other new members and meet the committee. Would any member of Arts Active like to join Marian and Carole on February 8th and go along to the Tate Britain for the Burne Jones exhibition? If you are free that day let us know as soon as possible so we can book tickets. We will try for a time between 12 and 1.